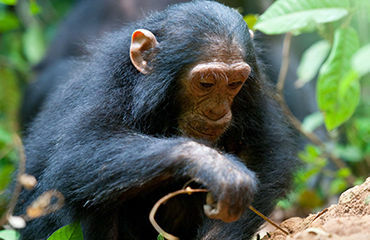 Did you know that adult chimpanzees are still illegally hunted by the hundreds every year? Infants, too small to be killed for bushmeat, are often put on the black market for sale as pets or entertainers. These orphans have lived through incredibly traumatic experiences. Not only have they been removed from their forest homes, but most have also witnessed the deaths of their mothers and other family members. 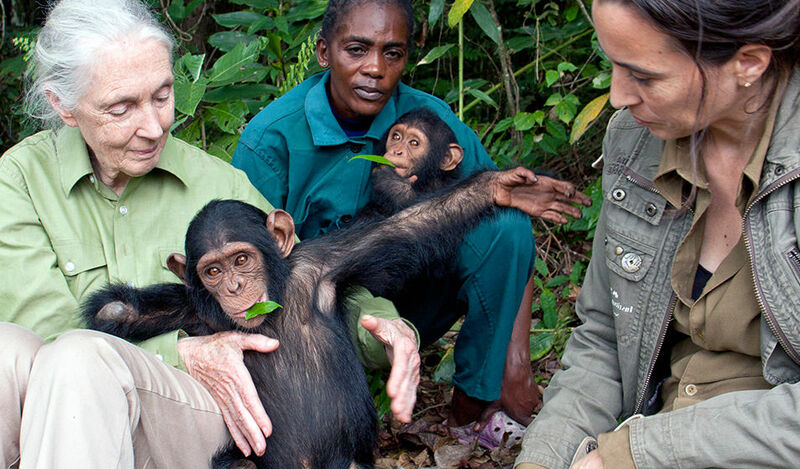 When these orphans arrive at the Jane Goodall Institute’s Tchimpounga Chimpanzee Rehabilitation Centre in the Republic of Congo, they are often emaciated, dehydrated, and badly injured from their treatment and extreme psychological trauma. With the help of supporters like you, we are able to give them a safe home and much needed love and attention. 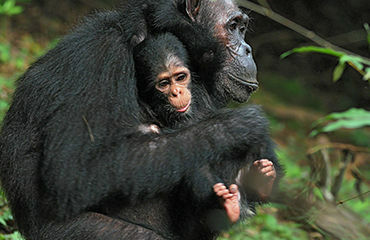 You can make a meaningful difference in the life of a chimpanzee today. Help us keep our promise of never turning an orphaned chimpanzee in need away. This is your chance to give them a life of happiness. Motambo was rescued from the exotic pet trade. At only five years old, he was suffering badly from infected wounds, a broken collar bone and couldn’t move his limbs or even open his mouth to eat or drink. can provide Motambo baby formula for one week. It costs about $2,500 just to feed one chimpanzee for a year. Infants are fed specially formulated milk until they are ready to eat solid food. An adult chimpanzees living at Tchimpounga consumes 17,000kg of food every month. Our primate specialists work with chimps to heal injuries and disease and help orphans learn how to be chimps again. Most importantly, they are given what they need most: lots and lots of love. Inside protected borders, and under the watchful eye of JGI’s caregivers, chimpanzees thrive within the Tchimpounga forest and island habitats, bonding with other chimps and overcoming the trauma that they have suffered. When orphaned chimpanzees arrive at Tchimpounga, we give them the safe haven and skillful care that they need for a second chance at life. We make this commitment for their entire lives, an average of 60 years in captivity. It takes a tremendous amount of resources to provide care for these fellow beings—our closest living relatives—with a lifetime of love. Working with African governments, JGI ensures that illegally held chimpanzees are confiscated from poachers or market vendors and placed in sanctuaries across Africa. Tchimpounga is in the heart of the Congo Basin’s illegal commercial bushmeat corridor. Without sanctuaries like Tchimpounga, law enforcement officers would be unable to confiscate chimpanzees from great ape traffickers; these crimes would go unchecked. JGI’s Tchimpounga Chimpanzee Rehabilitation Centre provides a refuge where chimpanzees are cared for and given the chance to live full lives in spacious conditions. Tchimpounga was founded in 1992 and today hosts more than 150 chimps, and as of 2011 includes three islands where chimps live in near-wild conditions. At Tchimpounga, each rescued chimpanzee is individually evaluated on both their physical and emotional health, and then given a unique strategy to deliver the best support for those needs. 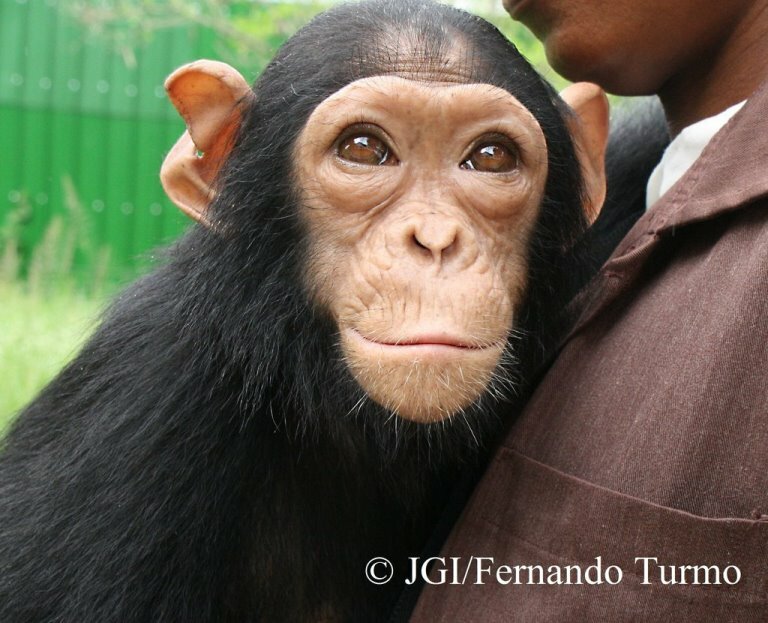 As well as rescuing and caring for orphaned chimpanzees, JGI works hard on prevention measures via engaging the community with extensive education and awareness campaigns on the laws protecting great apes and the value of conserving chimpanzees and their habitat. We are very proud to share that since we launched our awareness campaigns across the nation, confiscation rates of orphaned chimpanzees have dramatically decreased. Funds from generous Australian supporters like you are sent to Tchimpounga Chimpanzee Rehabilitation Sanctuary in the Republic of Congo. We are very proud that JGIA is able to support Tchimpounga with about $50,000 in donations each year and with your help, we can do even more. In fact, these donations are the lifeblood of the sanctuary, providing the on-going funding it needs to offer care to the chimps that call it home for the rest of their lives. It costs about $2,500 per year just to feed one chimp, and your donation will also contributes to veterinary care, sanctuary maintenance, staff salaries and so much more. How many chimps are there at Tchimpounga? There are currently more than 150 chimpanzees living at the sanctuary. This includes individuals living at the main site, originally only intended to care for 40-50 chimpanzees, plus more than 70 chimpanzees who have been moved to Tchimpounga’s three island sites where they live in near-wild conditions. With your help, we hope to move even more individuals to these island paradises and even someday hope to reintroduce some back into the wild! How do the chimps get their names? This honour of naming our newest arrivals is usually reserved for JGI’s caregivers and sanctuary staff who spend hours caring for and bonding with their charges. Orphans are often named after the region from where they came, or a word from a local language. Chimpanzees can also be named for other reasons, for example Anzac has her name because she arrived at Tchimpounga on April 25, Anzac Day, and was missing a limb, just like many of our war heroes. 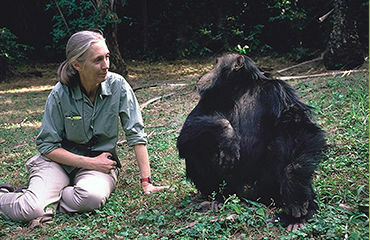 What else can I do to support chimpanzees? To start, please tell your friends about us so that they too can follow us on all the usual social media channels. 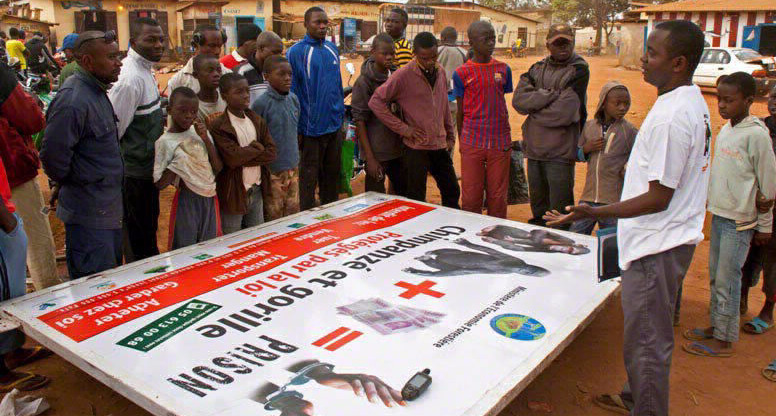 You can also learn about JGIA's other programs including Roots & Shoots, Gombe Stream Research Centre, Peer Education,habitat protection and mobile phone recycling. 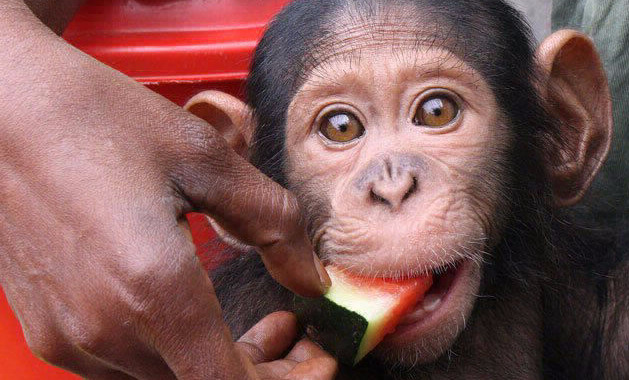 Help turn an orphaned chimpanzees story into a happy one.